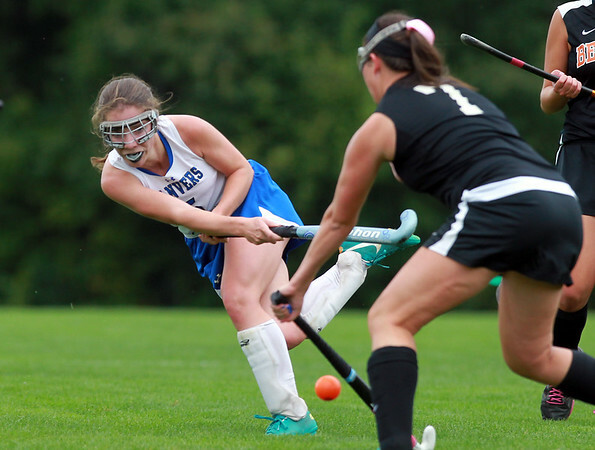 Danvers' Kristin McCarthy plays a ball downfield past a few Beverly defenders on Tuesday afternoon. The Falcons blanked the Panthers 5-0 in NEC Field Hockey action behind two goals and two assists from senior Caitlin McBride. DAVID LE/Staff photo. 9/16/14.